With the return of The Walking Dead, which debuted season four last Sunday to a ridiculous 16.1 million viewers, AMC’s hit zombie drama has, understandably, been dominating the undead headlines of late. It may be the biggest rotting corpse on the block, but it certainly isn’t the only one. 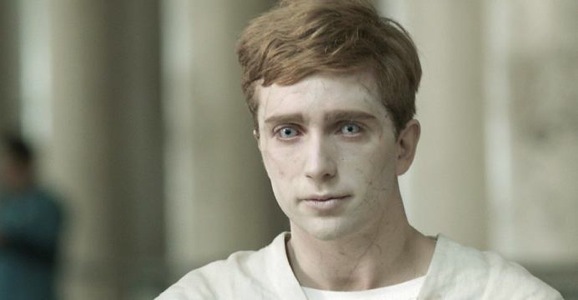 Sneaking in, much further under the radar than its American counterpart, is the news that the BBC’s own zombie show, In the Flesh, will be coming back for a second season, and filming has begun in the UK. In a lot of ways, In the Flesh is kind of the anti-Walking Dead. First off, there is the setting. Flesh is set after the end of the zombie apocalypse, not smack in the middle. In this particular world, victims of Partially Deceased Syndrome (PDS) are able to be rehabbed to the point where they can reenter society, their cannibalistic urges managed with meds and therapy—there’s a great group meeting scene early in season one. Reintegration, however, is not nearly as easy as simply saying and letting it be done. Recovering zombies, like Kieran Walker (Luke Newberry), face prejudice every day, sometimes even from within his own family. The war against the undead is still fresh in the minds of survivors, and many people didn’t take to kindly to Kieren and his kind trying to eat them and members of their families. Some wounds will take a while to fully heal, if they ever do. In the Flesh also differs from The Walking Dead in one key tonal area, there is hope. The survivors on AMC live in such a bleak, desolate world that the show can be difficult to watch. “30 Days Without an Accident,” the season four premiere, interjected a few potential rays of sunshine into the otherwise gloomy world, but then proceeded to dash each and every one on the rocks, as if to say, “that’s what you get for having hope.” The series wallows in such a deep, crushing desperation that you can’t help but wonder why everyone doesn’t simply eat a bullet and get it over with. In the Flesh is far from being all sunshine, roses, and lollipops—PDS sufferers face violence from radical pro-living groups like Victis, and with terrorist cells like the Undead Liberation Army, it can be messy—but the despair is never quite so overwhelming. This is a thinly veiled story of civil rights, and for that to work there has to be hope, otherwise what’s the point? Season two of In the Flesh finds Kieren trying to build up his “escape fund” so he can get the hell out of the fictional town of Roarton, but when Victis and the ULA throw the entire world into upheaval, his plans change as he gets caught in the middle of it all. In true British form, there are only six episodes this time around—unlike The Walking Dead, they know not to drag things out to unnecessary lengths just to fill episode quotas—which are currently in production in Northwest England.